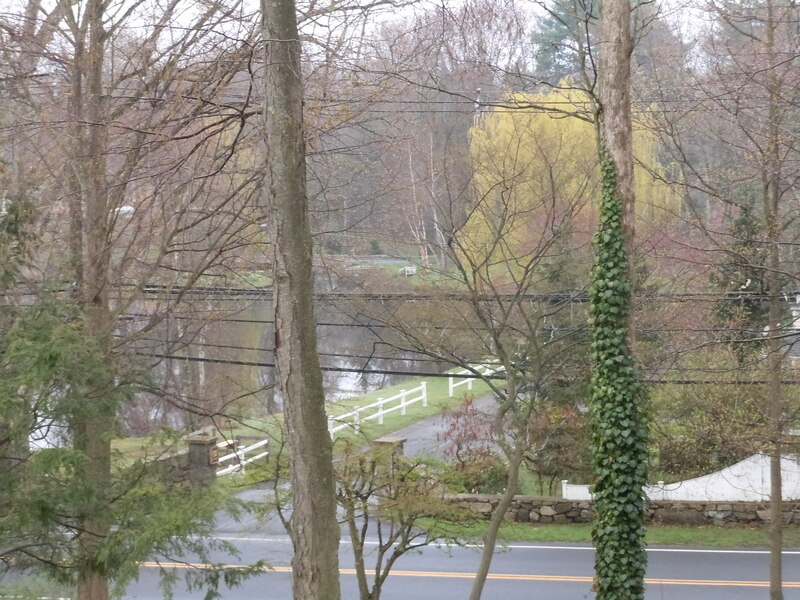 The view from the bedroom window on a rainy day in April is veiled with the soft colors of water, bark and sky but through the fog there is a sign of brightening Spring. The willows are bright and the maples rosy…. the slow return to life all around. 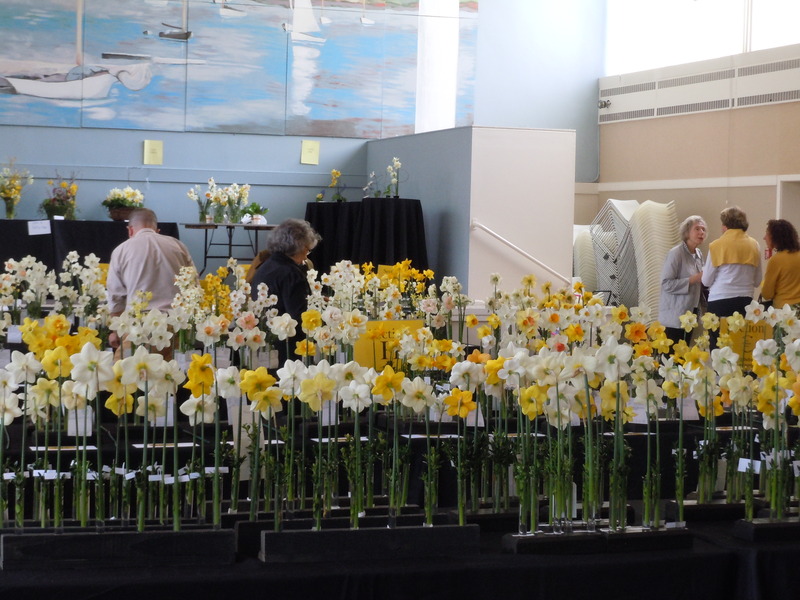 The daffodils at the Greenwich Daffodil Society’s show were spectacular! Driving at the crack of dawn with a friend to enter our pampered stems, we were greeted with many of the entries already on display! The results of a long Winter with plenty of snow cover and an unremarkable Spring (though slow in coming) proved to be favorable for the daffodils! Another worthwhile event in New Canaan this week was the Tablescapes at Waveny, sponsored by the Garden Center of New Canaan. 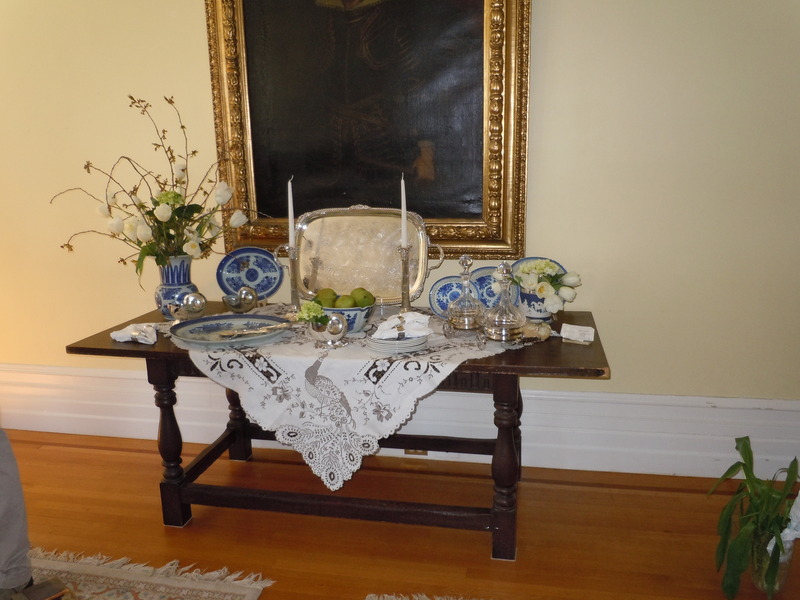 Designers and merchants were invited to decorate a table and the public came for lunch and tea and to view the results. The Sallea table turned out well, much thanks goes to a friend who created a spectacular flower arrangement in that rare blue & white vase! The Chinese blue and white Fitzhugh vase was filled with the cherry branches, white tulips, daffodils and green hydrangea. The white peonies fell apart before the exhibit opened! I hope the Garden Center made lots of money at this fundraiser because they fund all the flowering hanging pots that adorn the Town, which we all enjoy! 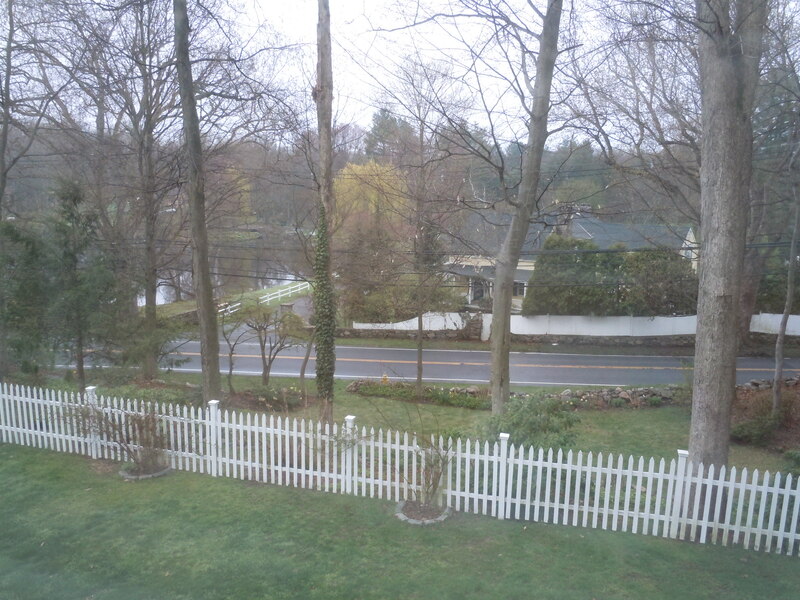 But back to the view from your Window; are you happy with yours? 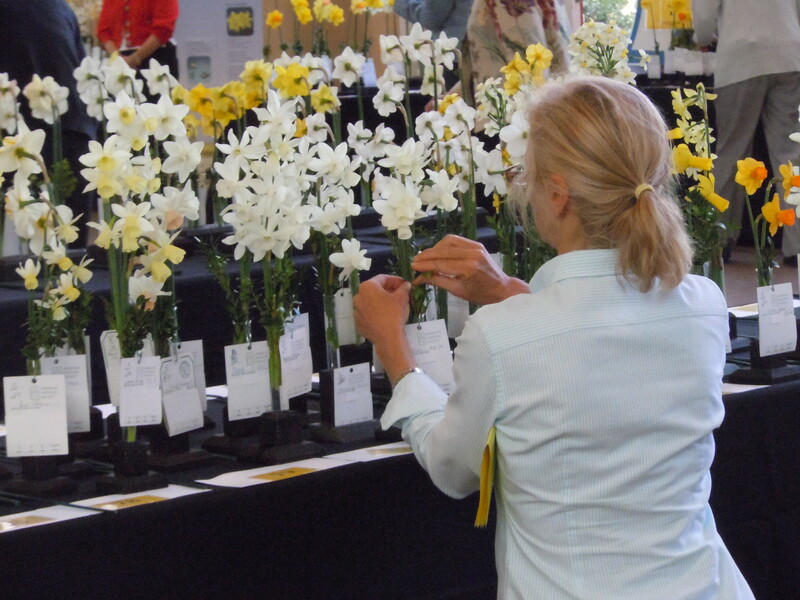 This entry was posted in Uncategorized and tagged Chinese blue and white Fitzhugh, daffodils, Sallea. Bookmark the permalink.